All New at 62: The Year I Skipped Christmas. "Charlie Brown, you're the only person I know who can take a wonderful season like Christmas and turn it into a problem." We have all experience a bad year at one time or another. 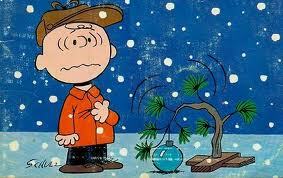 Each of us has commiserated with the forever-depressed character of Charlie Brown, and have carried the weight of the holidays around like a sack of coal, boo-hoo-hoo-ing when we should been fa-la-la-ing instead. The year I was "grinched" was not that long ago. It might have been the year of two thousand six, if I remember correctly, although I have tried hard to put it behind me. 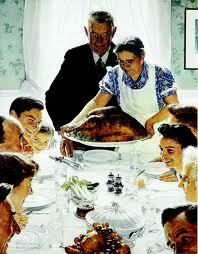 Traditionally, I have always loved the winter holidays, starting with my favorite Thanksgiving Day feast with family. Then decorating with lights and glittery ornaments for Christmas and serving the annual roast beast to friends. Finally ending the season with a New Years Day brunch of ham, greens and black eyed peas, symbolizing abundance, money and luck. Unfortunately that particular year (in fact there were several years in a row) I felt my luck had run out, there was no money, and not a smidgen of abundance. I had lost my job after only one year and completely relocating my life. My sweet dog Bear died of kidney failure, and my seventeen year old cat passed away of old age. My horse went down with collic, and had to spend a very expensive week at the veterinary hospital in Raleigh. On top of that I had serious health issues of my own and no health insurance to cover the rising expenses. I was in debt up to my eyeballs from all the moving and medical bills. Even more devastating, I wouldn't get to see my son, daughter-in-law or grandkids during the holidays. Talk about a grouch. I didn't want to be around anyone, and I felt certain they wouldn't want to be around me. It was easy to convince myself to skip the entire six weeks, and burrow into my cave to hibernate until spring. Passing up Thanksgiving wasn't too difficult, as long as I stayed away from the grocery store and television. Seeing all those pecan and pumpkin pies in the bakery, and the plump turkeys who gave their all for this national celebration was hard to ignore. Imagining the mounds of mashed potatoes and stuffing, steaming rolls and butter, the succulent aromas in every kitchen across the country was agonizing. It seemed every commercial on TV was about food, every program about a family reunion. 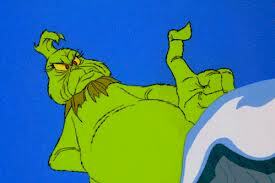 It was more than the average grinch can tolerate. Still I did my best. I rented lots of sad movies, and passed on watching the Macy's Thanksgiving Day Parade or the National Dog Show. I said no to invitations from friends, and skipped seeing nearby relatives. In the end, I was extremely lonely, and very thankful that K&W Cafeteria was open and serving a traditional Thanksgiving meal for a packed house of grumpy folks like me. One can only resist so long. I vowed to do better with Christmas. No decorations, no lights on the shrubbery. Not even a tree. Could there be anything more depressing? It is relatively easy in this computer age to avoid the stores and the decorations. While I did give gifts to family and friends (I wasn't so mean that I wanted others to feel my pain), I did all my shopping on-line, sending the gifts directly to the recipients. Admittedly, I missed wrapping presents and packing them into shipping boxes, with little surprises tucked in between. Buying gifts on the computer, and sending them without first wrapping them in festive paper and ribbon, or writing personal notes for each is a very hollow process. It left me feeling cold inside. Coming home at night to a dark house without a single glittery light or ornament was even more chilling. Still, I was determined to play this joyless Christmas through without a single hint of happiness. I didn't send Christmas cards, and felt guilty when I received them. I put the box of homemade cookies my daughter-in-law always sends straight into the freezer, knowing full well nibbling on Christmas cookies is my favorite holiday pastime. I sent my regrets to every invitation, and even bah-humbugged the Salvation Army Buckets at the entrance to every commercial building. It was the longest, coldest, most miserable holiday I can remember.My mission was accomplished. I will never try a stunt like that again. One thing I learned is that no matter how low you feel, no matter how disappointing your year has gone, it is simply not a good idea to sidestep the winter holidays. Besides the fact that it can't actually be done unless you live in a hole in the ground, it is punishment enough that the winter days are short and the nights long and dark, holidays or not. 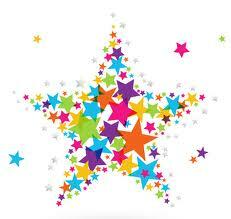 It is also a reality that despite your own sour-grapes attitude, the celebrations will go on without you. You can't avoid what has been happening with regularity for centuries, be it Christmas, Hanukah, the Winter Solstice, or Festivus (although that particular celebration began just a decade or two ago, when George's dad made it so). My best advice for surviving the season: Reach out and embrace what cannot be ignored. Deck the halls and trim the tree. Wrap the gifts, be they large or small. Prepare the goose and share the feast. Sing, celebrate and spread good cheer. 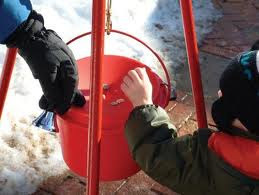 Put a penny or a dollar in the donation box, serve meals to the needy or help a neighbor with a chore. Gather your family and friends, and be generous with the warmth of sharing. I guarantee that your winter blues will melt away, your season will be merry, and the New Year bright. Toast to the season, this year and every year. The spirit of the holidays will brighten your mood, and bring happiness to your life. While it may not get you a new job, fill your bank account, or solve your problems, it will definitely improve your attitude and your ability to cope with everyday challenges in the coming year. Season's greetings, joy, happiness and light to you and yours!